If you do really want that project management job here are five tips that can help you land it. And these can likely be applied to about any job out there as long as you are somewhat qualified for it. At least these tips might help you get that elusive interview and give you the chance to showcase your talents when you might otherwise get weeded out. Using some of these tips gained me a couple of rounds of interviews for the CIO position of a big Fortune 500 banking organization long before I really should have received strong consideration – I was a finalist for the position because I did my best to show that I was a good fit. 1.Tailor your cover letter for the job. You really want the job? The first thing the potential employer will likely see is your cover letter. Some phone that in. Don’t do that if you really want the job. Put bullet points in your cover letter that match up with the key requirements of the job description and that can show how you meet those requirements. If the job is calling for 5-7 years of progressively responsible project management experience, put a bullet in there that says you have 15 years of experience managing successful projects in excess of $5 million in revenue on average. Be honest, but don’t overlook your strengths. 2.Tailor your resume for the job. You’ve got a good resume and you don’t want to lie on your resume…that is never a good route to take. But you may be overlooking something on your resume that should be on there after reading the job description. Or perhaps it’s in your resume, but it’s buried too deep to see. Look over the job description and job requirements and make sure that your resume is emphasizing those things. Check your technical expertise that you have listed. If you haven’t updated it in awhile, then you might look outdated when you aren’t. Fix it fast – make sure you are on target for what they need and make it obvious. 3. Call about the job. As you’re submitting your cover letter and resume for the job via email, think about two or three questions you could ask the potential employer. Wait a day or two – no longer than that – and call the hiring company’s HR group. Introduce yourself and ask a couple of questions about the position. Don’t be annoying – you may have already crossed that line by calling. But if you’re cordial and have thought provoking, legitimate questions, you may make a positive impression that will help them remember you when they come across your top-notch cover letter and resume. 4. Research the company. This is an obvious one, but don’t waste your time on it till you actually get an interview. When you know the call is coming or you need to go for a face to face, make sure you know a lot about the company, their management, the customers, and their project management practices (if possible). You can probably locate some of their current project managers on LinkedIn – things you couldn’t do a few years ago – and find out a lot about how they manage projects from those profiles. Even connect with some of them…I’ve had clients and potential customers reach out to me on LinkedIn right away – it’s how business is done today. 5. Follow-up after the initial interview. I don’t mean the follow-up thank you’s. Those just have to be done and we all know that. But follow-up by phone or email – email is fine – with some thought provoking questions or some relevant information about you that you may have missed emphasizing in the interview. Also, it’s just a great way to make yourself even more a part of their ongoing thought process. Be that nice, but persistent person who is very interested in the job they are posting. 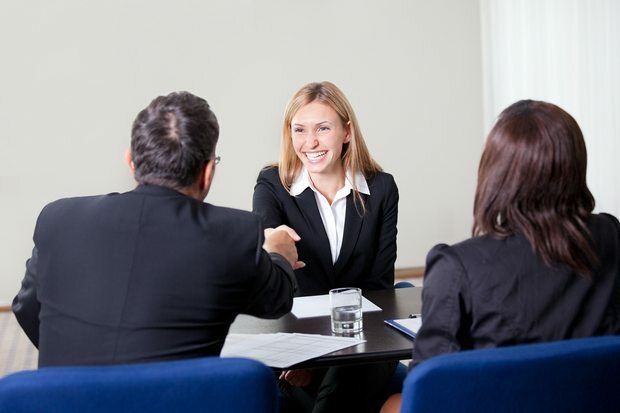 If you interview and then just wait, you may be out of sight, out of mind. When you’re interviewing with several people in one organization, there may only be one of them that really cares and the rest are just forced to be part of the process. Think of it like voting on a political candidate. You may vote out of civic duty, not out of interest in the candidates. Still your vote counts because you’re part of the process. So, who do those people sometimes end up voting for? The name that they remember. Be that name. These five concepts are not real ground breakers – you may already be doing them if you are looking hard for a new PM gig. But many times we rapid fire our resume to jobs and just hope something sticks. Take time on the three or four you might really want and think you are a dead on match for and do these five things. You might be surprised how far it gets you. How about our readers – any key suggestions for job seekers? What has worked well for you to get you that next PM consulting or direct hire gig? What practices do you employ to help get you noticed above the crowd?